While there are plenty of things for new moms to worry about, having a glass of wine with dinner shouldn’t be one of them. It’s true that drinking while pregnant is a no-no, but the same doesn’t hold true for breastfeeding moms. When you’re pregnant, any alcohol in your blood passes directly through the placenta to the fetus. However, when you’re nursing, your baby’s metabolism dilutes the alcohol in your blood. When you have an alcoholic beverage, the level of alcohol in your blood is the same as the level of alcohol in your milk. A 140-pound woman who drinks three ounces (two glasses) of wine with 13% alcohol content will have a Blood Alcohol Content (BAC) of 0.006%. Likewise, her breastmilk will be 0.006% alcohol. The effects of the alcohol will peak about 30 to 60 minutes after consumption, and then the alcohol will pass out of the mother’s system. Interestingly, some studies indicate that lactation lowers peak blood alcohol concentration. Breastfeeding moms get significantly less intoxicated than formula-feeding moms and other women when they drink the same amount. What happens if I nurse my baby after drinking a glass of wine? However, some studies do seem to indicate that newborns take less milk than they would otherwise in the 3-4 hours after an alcoholic beverage is consumed. As the alcohol exits the mother’s system, newborns will increase their intake to make up for this decrease. It’s believed that the odor of the milk is off-putting to infants. In other words, it doesn’t taste quite right, but it’s harmless. Should I pump and dump? Sometimes mothers are advised to “pump and dump” to clear the alcohol out of their systems. This actually has no effect. As long as there’s alcohol in your blood, there’s alcohol in your breastmilk. If you’re not comfortable breastfeeding your baby while there’s alcohol in your system, it’s just a matter of waiting 3-4 hours after you indulge to nurse again. That allows plenty of time for the wine to pass out of your system. While the occasional glass of wine or beer is perfectly fine for breastfeeding moms, excessive alcohol can create problems for newborns. Large quantities of alcohol can cause weakness, drowsiness, deep sleep, and abnormal weight gain in infants, and excessive drinking can lead to failure to thrive. A breastfeeding mother who drinks to excess regularly can impede her baby’s growth, and she compromises her ability to care for her child. Raise your your glass, mama! Not only is a little alcohol permissible, it’s productive. 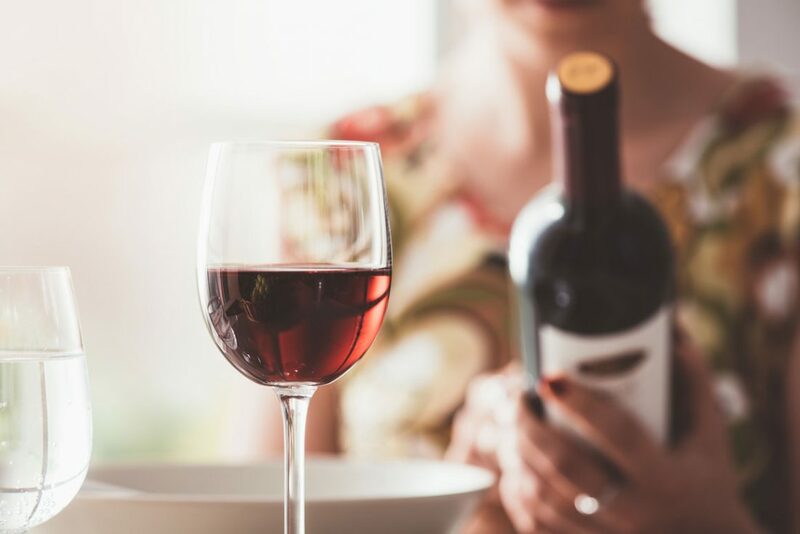 According to Mayo Clinic, moderate alcohol use can reduce your risk of developing heart disease and even your risk of diabetes. So relax, mom. Whether you want to indulge with a glass of wine at dinner or a beer on the beach, enjoy!